SEW sorry to hear that your neck has been bothering you! Here's hoping that PT works wonders. 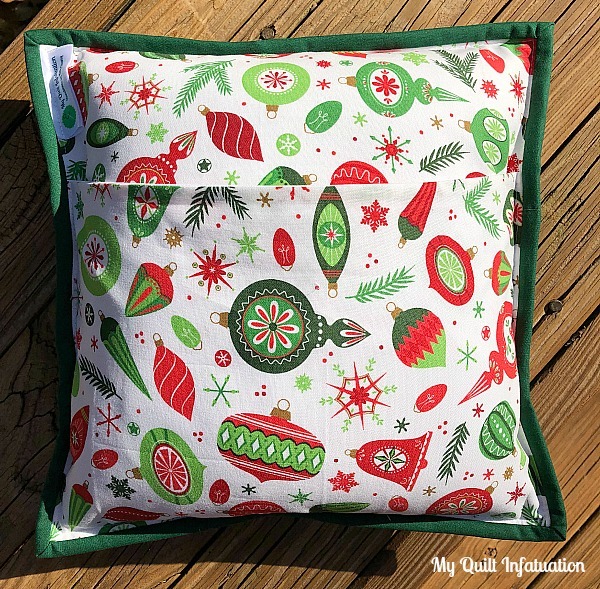 Your holiday pillow is darling, but make sure you don't spend more time at the machine than you should! I'm also hoping the therapy helps with your neck pain. I'm glad you had most of your holiday sewing finished. Take care of yourself. Blessings! Ouch! I sure hope you get some relief and help soon. 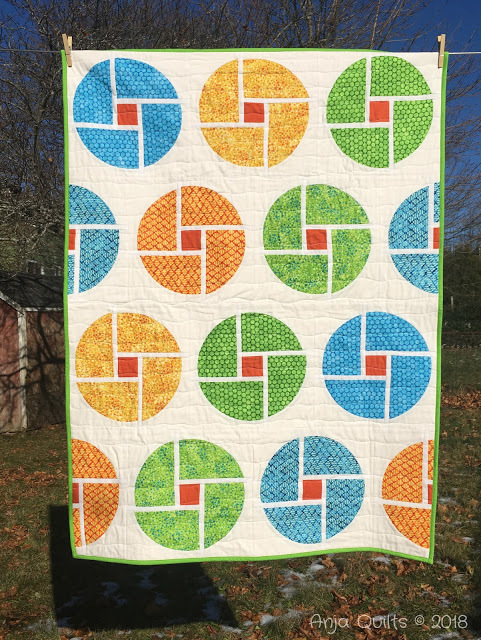 Congratulations on having all of your Christmas sewing complete. I hope you will get better soon, it's not funny to have troubles with the neck. Cute cushion! Oh no, I do hope the physio sorts out your neck soon, there's nothing worse when you need to sew! Sheeeww, good thing you Christmas sewing is complete. Thank you for the linky party. Sending hugs and well wishes. Sorry to hear about your pain and I know PT is going to do wonders. I had to undergo PT for a frozen shoulder over ten years ago and it was a big relief and very helpful in teaching me the importance of exercise and maintaining flexibility. 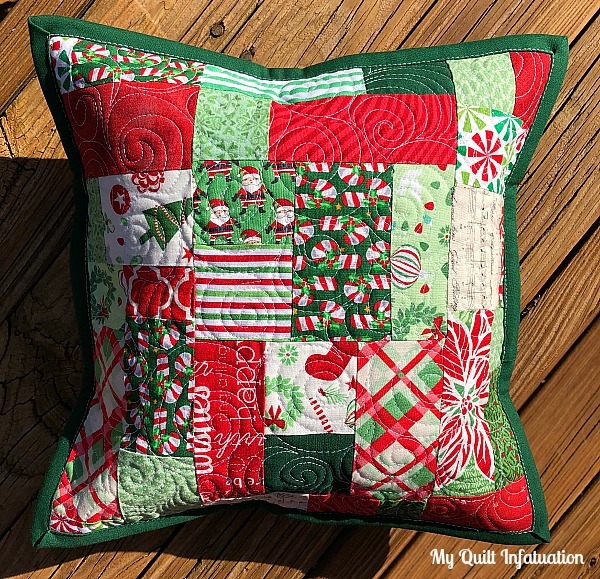 It's good that your Christmas sewing is done and you'll have one less holiday stress. BTW, I'll be doing PT for my knee in a couple of weeks and glad to know that I'll be in good company. So sorry about your neck Kelly. I had horrible back issues and was unable to get upstairs to my sewing room or even sit at the sewing machine for several months. 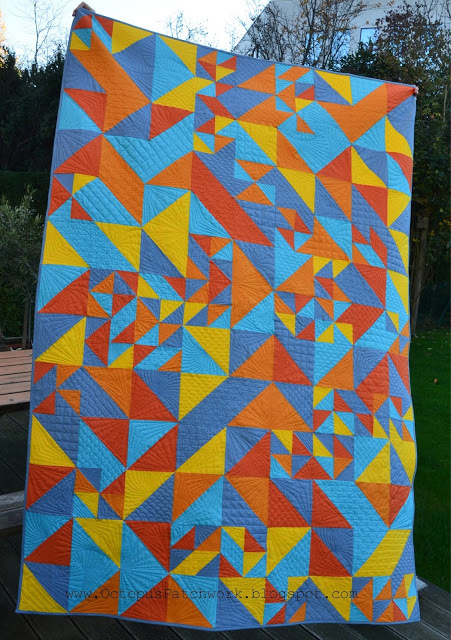 Hope the physical therapy works like a charm and you can start sewing the gorgeous quilty things you make soon. Your pillow is great. It's almost like planned improv -- it seems to have been planned. Sorry to hear about your pain. 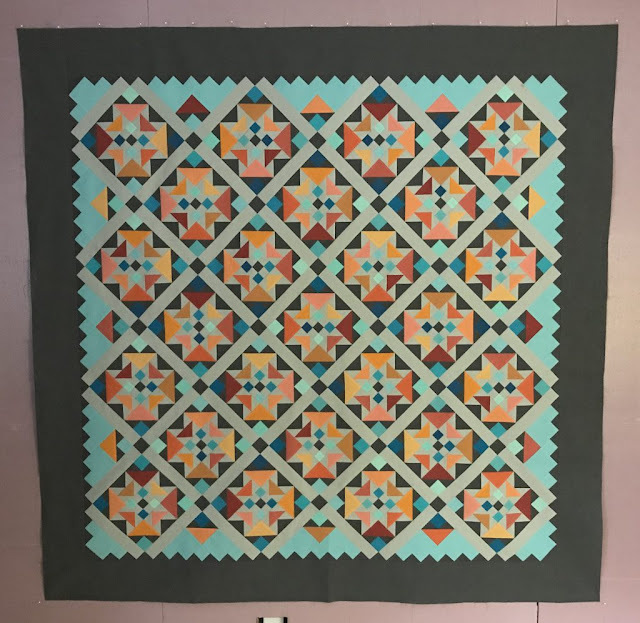 I like the first quilt by Marie. I have had that technique bookmarked to try someday.